Work has always been important to me. Here I am at age three, helping my mother and grandmother do dishes. We are also packing provisions for a road trip. See slices of white bread already mayonaisse-d, on wax paper? My dad's parents lived in Atlanta and my parents, sister and I had driven to visit them from Oak Ridge, Tennessee. That trip, and the one to my mother's folks in Chicago were the only vacations my parents indulged in for years. We never stopped along the way, to "squander money" at roadside restaurants. My mother packed whatever we needed in a cooler. If we were making good time, we'd stop at a rest area where my mother would shake out a freshly ironed floral cloth to cover a picnic table. More often, we'd make do with meals in the barreling car, even though this inevitably meant one of us kids would get carsick, which my engineer father considered a small price to pay for making good time. Dress-wise, my mother had a lot in common with Betty Draper which I guess is one reason I chose to play that character on Twitter. But the resemblance stopped at appearance, luckily for me and my siblings. (Although I do recall hearing that "Only boring people are bored.") She liked to keep up with fashions, but didn't want to shell out for department store prices. She sewed her own clothes and ours. She took us on shopping trips in which we wouldn't buy anything; they were scouting trips for latest trends. I recall a few bouts of embarrassment when she'd pull out a tape measure and surreptitiously place it against outfits on mannequins. But I was always pleased to put on a perfectly fitted new dress with smart buttons and stylish collar. She still dresses well, though she doesn't sew anymore. She keeps a figure that can fit into petites at Talbots. 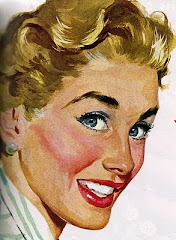 Unlike Betty, my mother enjoyed being a stay at home mom. She'd gone to Chicago Teacher's College because she liked working with children. But she was always encouraging of my sisters and me to pursue passions that would lead to other kinds of work, too. My mother and many of her generation wouldn't call themselves feminists. But their quiet work and steady support gave their daughters confidence to claim a stake in the workplace. And paved the way for their granddaughters to consider that stake an inalienable right. This Memorial Day, I'd like to acknowledge them. 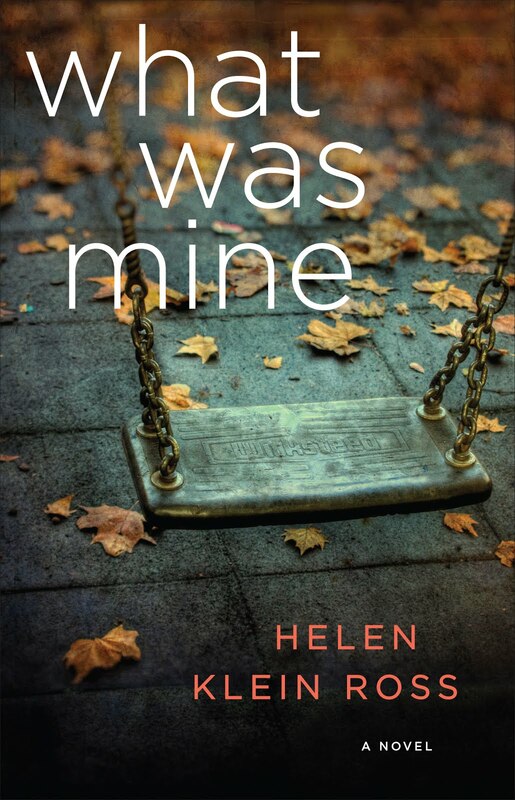 wonderful sentimental post, Helen. you do your mother and grandmother proud. 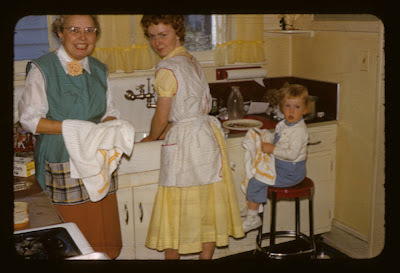 the photo looks like a Fifties ad for, oh, anything Fifties and kitcheny, don't you think? my mother always wore a dress too. i remember when shifts became popular and she started buying those. she loved them as they disguised her always too round in her mind figure. what was the name they called "shifts" then? it escapes me. btw, very much enjoyed your 365 tribute to your father as well. Thanks @California Girl. I see we have a lot in common. I love this shot, too, and hundreds of other 60s Kodachromes my father took. When he wasn't building computers, he was an amateur documentarian. Do you mean A-lines? Or mu-mu's? My mother was perfectly dressed every day and kept her figure, too. As a junior in high school, I got a "sack" dress--that was 1959. Memory kicked in--the dress was called "sack" or "chemise." back from an afternoon exploring the town of Ogunquit. we're on vaca and it's so beautiful and the weather is cooperating. i still cannot remember the word for shift. i thought, momentarily, "chemise" but that's not right. i think it's the descriptive noun they would use to describe this type of dress if Jacqueline Kennedy wore it. But if my mother wore it, it's a shift. she LOVED mu-mus. we would always hit this cool Hawaiian store in Laguna called Waltah Clarkes and she'd buy several new ones each year. i was thinking about that store yesterday when we strolled into a cute little summer shop here with some Hawaiian things. bright colors and patterns are back. i guess the east coast had Lily Pulitzer and the west coast had Hawaiian. My mom was the Queen of Shirtwaists. She wore one every day, with heels, even when cooking and cleaning; it was her housework outfit. She was very slim, but still she wore girdles, too. Never understood that. Stay-at-home moms of the 50s and 60s were fascinating. Thanks @hwfarber Sack dresses! Oh, I remember! @Michele Hush My mom wore a girdle, too, though, like yours, she didn't need one. I remember borrowing it once in 9th grade, for a date. Halfway thru I was horrified to look down and realize the rubber thing had rolled up to my waist, as It wasn't held down by stockings in garters. You've certainly "done them proud" on all counts. @CaliforniaGirl may be thinking of a SHEATH dress, if she means the Jackie O form-fitting unbelted version -- often with bust darts (although we added princess seams! My working Mom taught me to sew, too; wide grosgrain ribbon is still a belt to me!) But if CG's mom's waist was less than indented, she may have worn the SHIFT: a loose dress, hung straight from the shoulders, no belt. ANYWAY -- ! This lovely writing encourages flipping through the mental scrapbook, thank you so much for sharing it. I could write a book, but first I was going to ask if you were one of my sisters? Shifts, yes, they were called shifts. Straight lines, without a seam at the waist - often sleeveless. Not genetic sisters, perhaps, Virginia, but soul sisters in boomerhood. Love, love, love the sketches of your Mom's early wardrobe. Oh those rouches! And those fetching dresses. Look like they're from the files of Janie Bryant for the set of Mad Men. Poignant picture of your 6 yr old self at the ironing board. Which of course you had to keep secret. So many secrets in those days!